What first drew me to this product was the price point at only R79.99(only available at clicks)this product is pretty affordable compared to other brands who make cleansing oil. The Lipidol range is released by the creators of bio-oil(which is the mother of all tissue oils) Once you try oil cleanser you really can’t look at any other type of cleanser the same way again, it is that life changing! 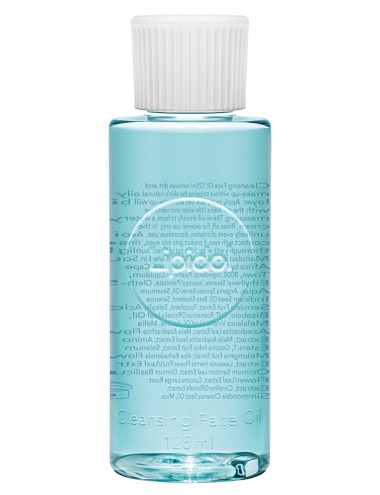 Basically oil removes dirt and makeup(even waterproof ones) better(like dissolves like). Being a beauty blogger I am always trying new makeup so it’s good to know there is something that can remove all traces of makeup so easily. A few drops of this on dry skin massaging it in then wetting you hands and emulisifying it literally melts all makeup without stripping the natural skin’s oil. The skin is left feeling hydrated and not tight or dry and it kind of feels like a mini facial since you massage the product onto the face. Does not leave any oily residue though. Pretty ideal for my dehydrated skin. Dermalogica recommends using cleansing oils as a pre-cleanse but you can pretty much use Lipidol alone for a deep cleanse. A little goes a long way so this bottle will last ages. in the ingredient list mean. So much goodness for the skin I’ve also spotted Salicylic Acid in the ingredient list. It’s known to unclog pores, thus preventing acne. Really give this one a try if you are ever in clicks. I can see this product being a permanent addition to my beauty routine and probably be in my best of 2015 choices. I very easily will need toward notify you that I am particularly fresh in direction of weblog and surely liked this world wide web page. Much more than heading I’m need to have to bookmark your website . On your own surprisingly occur with innovative posts. Cheers for revealing your net page.